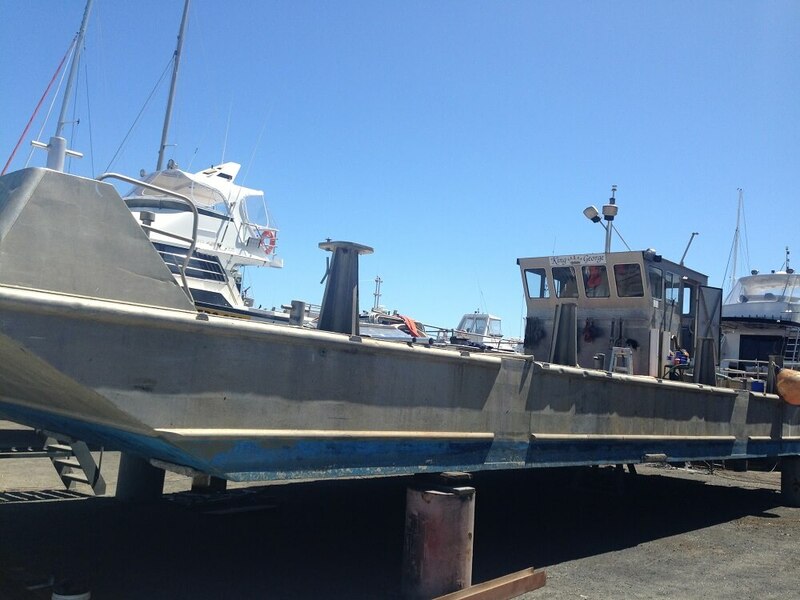 This 15m self propelled barge is a working vessel used for various marine infrastructure solutions. 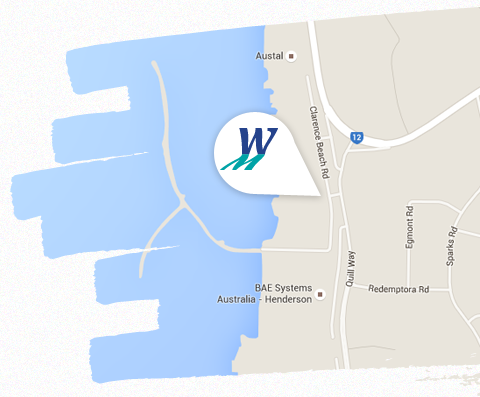 It has been involved in many projects up and down the Swan River such as bridge repairs, jetty construction and maintenance. 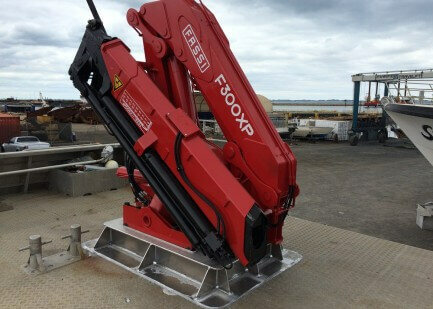 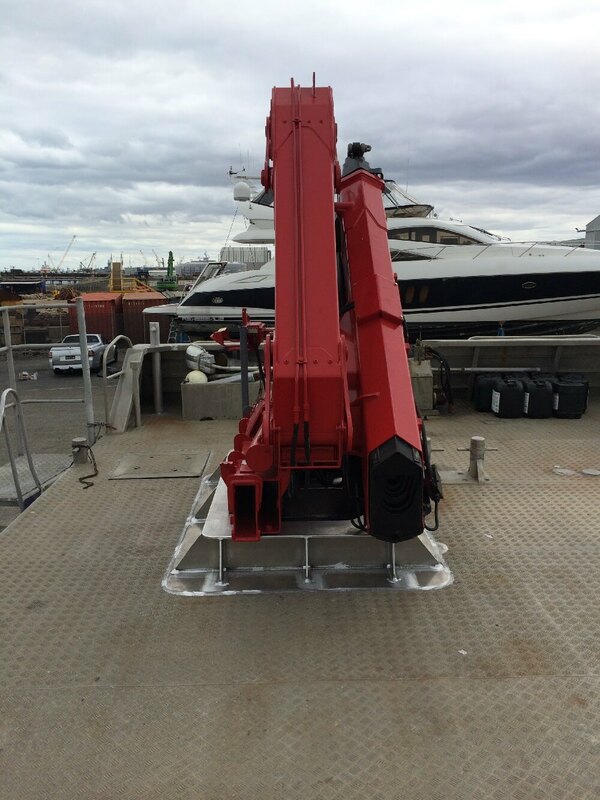 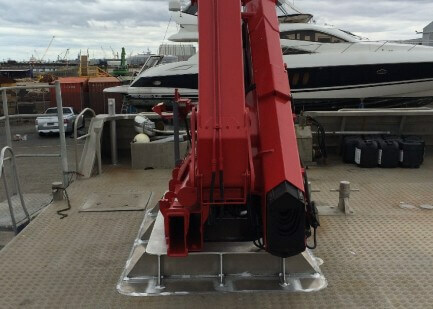 The fitting of the davit crane allows this customer to use the barge to complete many jobs, such as pile withdrawal and driving, and other maintenance jobs for private jetties and new wharves. 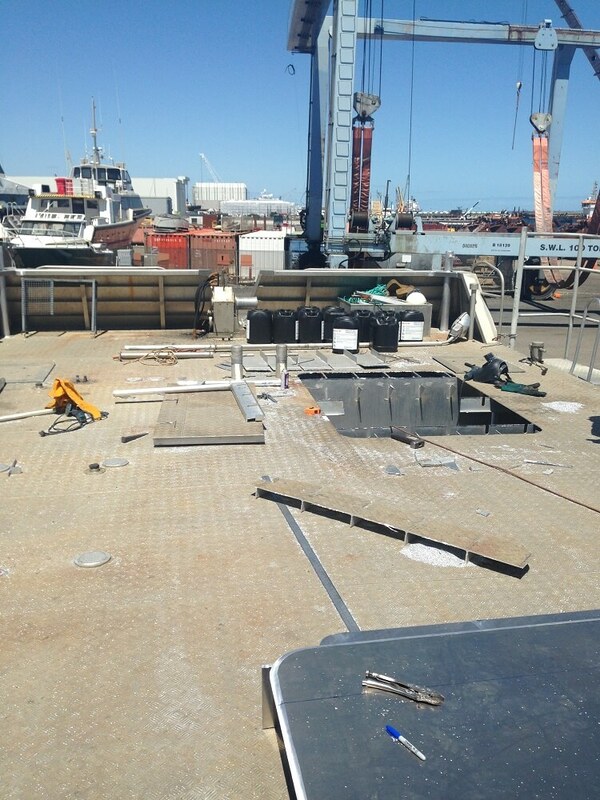 We cut out and removed the deck. 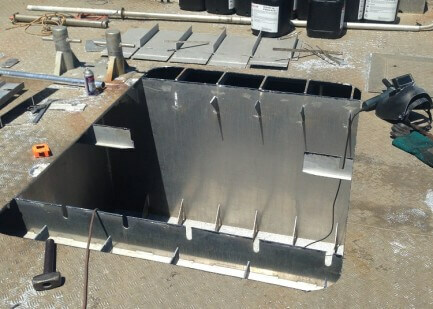 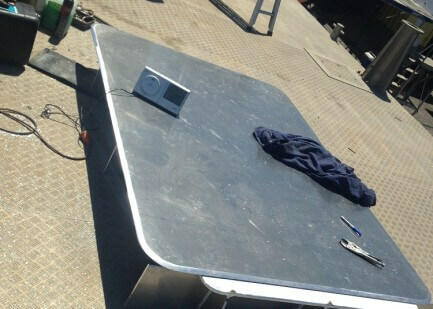 Next, we reinforced the stringers, frames and bulkhead of the barge to accommodate the new mounting base for the crane. 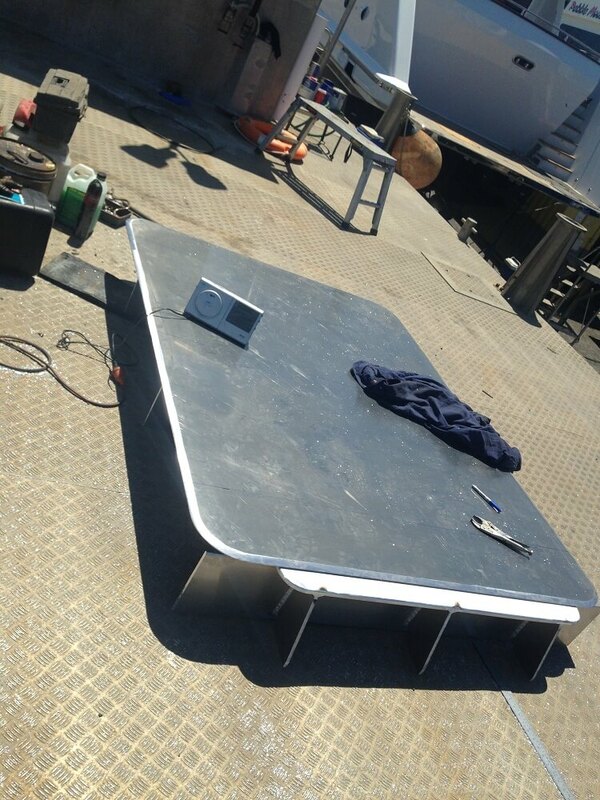 We then fabricated a base plate for the crane. 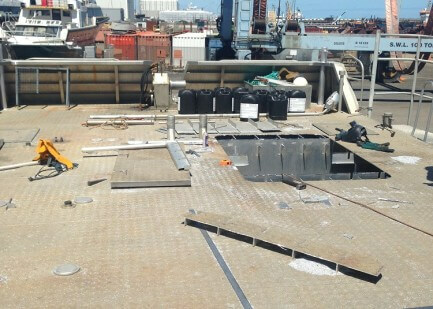 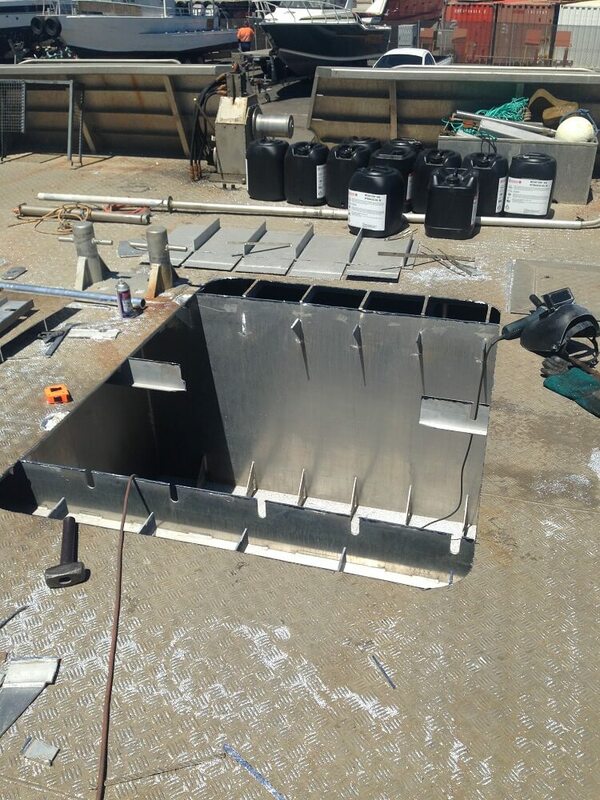 All fabrication was conducted according to the naval architect’s drawings.